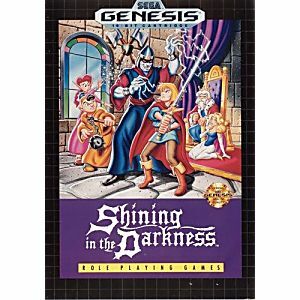 Shining in the Darkness Sega Genesis Game cartridge Cleaned, Tested, and Guaranteed to work! I remember playing this game when I was a kid. I was so happy to find it again on Lukie Games. The title arrived fast and worked great for a very short while. But now all I get on the screen is glitched static. I think my Hyperkin RetroN killed the cartridge. Game was in great condition. Item was shipped quickly. So glad I went with Lukie game for this purchase. Will definitely buy more from them. Arrived quickly and in good shape. 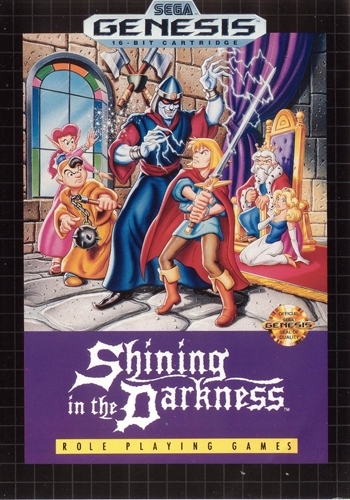 This is a good game for the Sega Genesis, and it is one of the better dungeon crawlers. The cartridge arrived in good condition as well.